Start practicing those swings, the 14th Annual Golf Outing tees off on June 8, 2015, returning again to the White Manor Country Club. 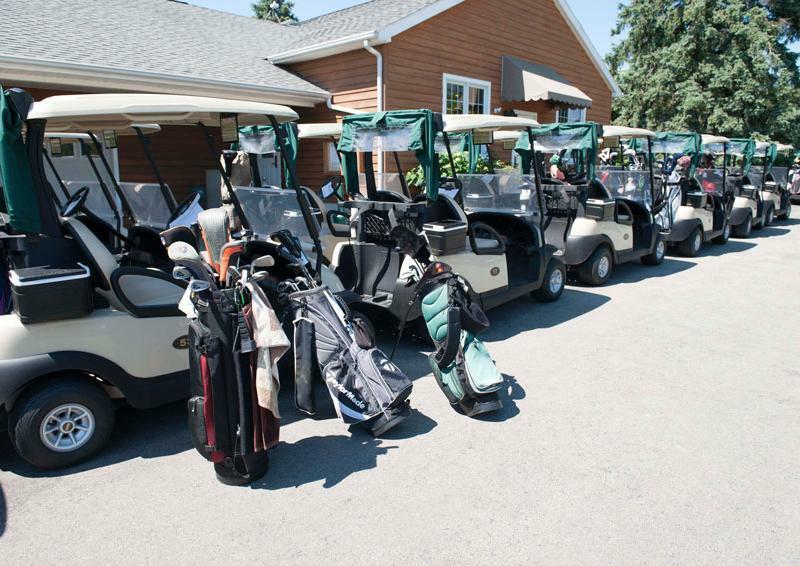 Since 2002, the Inglis Golf Outing has raised more than $1.3 million to provide vital services to people living with complex physical disabilities. Out of the many care facilities nationwide, Inglis is one of the only organizations able to offer comprehensive care for these individuals along the entire continuum of their disability. We aim to not only serve the physical needs of those we care for, but also an individual’s social, emotional and spiritual needs. Previous Golf Outings have funded the purchase of new vans to provide transportation for our residents, a new fully accessible kitchen in the Inglis Day Program, the renovation of the Inglis Courtyard and the building of a fountain which has become a focal point for residents, families and visitors to enjoy. The recent Golf Outings helped to fund our new Wellness & Rehabilitation Center - providing a state-of-the-art facility focused on enhancing the overall wellness and well-being of our residents. This year's beneficiary will be investments into upgrading Wi-Fi access throughout Inglis House and the campus. Today, we rely on access to the internet and to wireless links to resources - and much of the work Inglis does in Adapted Technology now, more than ever, uses wireless capabilities. Our goal is clear: update the technology that provides free Wi-Fi access to Inglis residents with a new network that will be expandable, “future proof,” medical grade and secure. By doing so, every resident bedroom, hallways, and the most crucial resident common spaces will have uninterrupted Wi-Fi access. Thanks to your support, Inglis is continuing to make strides forward in enabling people with disabilities to achieve their goals and live life to the fullest. Thank you to all the sponsors for the 2015 Annual Inglis Golf Outing. Please take a moment to read through the list of sponsors and visit the links to their websites. White Manor Country Club is ranked in the top ten private golf clubs in the region and as an Inglis or Platinum Sponsor you and your guests will have the exclusive opportunity to play at the Outing with fellow sponsors. For non-golfers, there will be the chance to enjoy the post-golf reception.